So you're a harmonica player and you're looking for some live action--a place to strut your stuff? You've come to the right place. 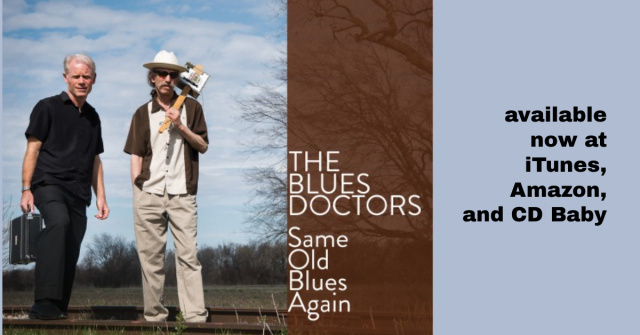 This forum is a dedicated space within which blues harp folk of all levels, worldwide, can share information about jam sessions at which harmonica players are welcome. All the content is user-generated. We begin, in late July 2013, from scratch. In order to post here, you will need to register--and behave. Please see the homepage of the main Modern Blues Harmonica forum for instructions on how to register. All current members of that forum are automatically enabled to post here. If you are a musician (harp player or not) who runs a harp-friendly jam session, you're welcome--indeed, encouraged--to post here and let harmonica players know about what you're doing. NOTE: This forum is in beta format. If we work together, we can, over time, create a useful resource. I have initiated the forum by creating a handful of open threads in a format that will, I hope, lead to an orderly accumulation of jam session information. Ideally, most of the blues jam info posted here will be consolidated into threads devoted to specific cities, towns, and regions: Boston, Houston, NYC, London, Tokyo, Jackson MS, etc. Please CAPITALIZE the place name and follow it with "blues jams" (or "blues jam"). US members may want to include the state (i.e., FARGO, NORTH DAKOTA) to avoid confusion. Non-US members may want to include the country code (i.e., SHROPSHIRE, UK).